Yes, the core is the same. I thought there were two holes where the paddles fitted through? I was sent a manual wheel by mistake a few years back and I had to return it for the auto version. This is the core, are they different for Autos? Is that the manual? Looks like the auto version. I must be confused. I thought the holes marked in red only existed for the paddles on auto. That's exactly how my Manual wheel looked. Weird. 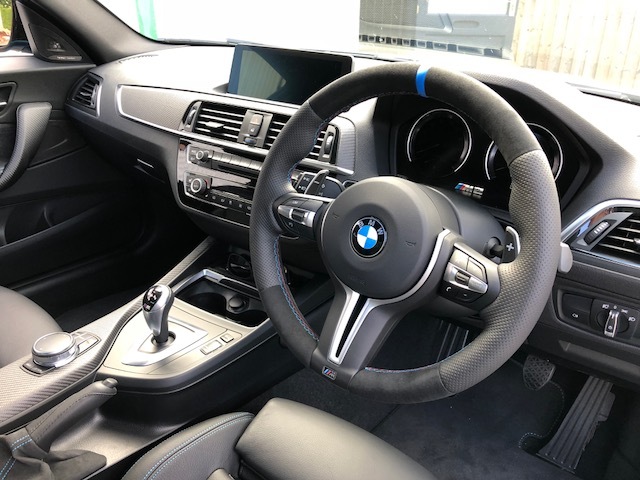 Does anyone know if the core steering wheel (minus trim, air bag and buttons) is the same for a manual and auto? 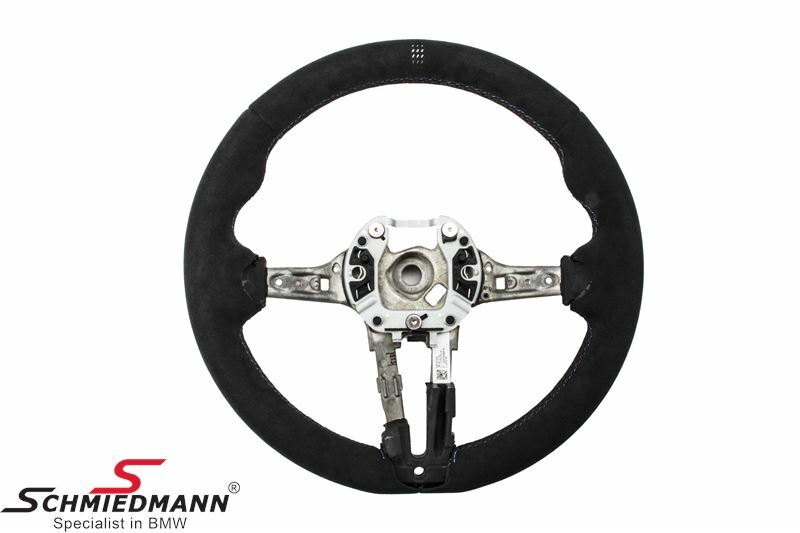 I’m trying to get a bare bones wheel from eBay for re trimming and not sure if I should be looking out for the right holes for the paddles or if they’re all the same? I’d assume they are the same to cut down on parts at BMW but who knows! Ignore my previous comment, AS7920 reckons they're different. I can't find a single image of his idea of a Manual wheel though. How much was it Abs? Thinking of doing same for my 130i LE but with a yellow band at the top. Abs. wrote: Just thought I would share with you my freshly re-trimmed steering wheel from Royal Steering Wheels. Couldn't be happier with it! It feels lovely in the hands and is now the perfect thickness for me. Top notch quality work too, even better than OEM! I went alcantara top and bottom, perforated leather on the sides, 2mm thicker all around, blue bar on the top and M tri-colour stitching. That’s the spec I’m after what does he charge for that? £185 and my old wheel in exchange. A genuine MP wheel and carbon trim here, we’ll priced.